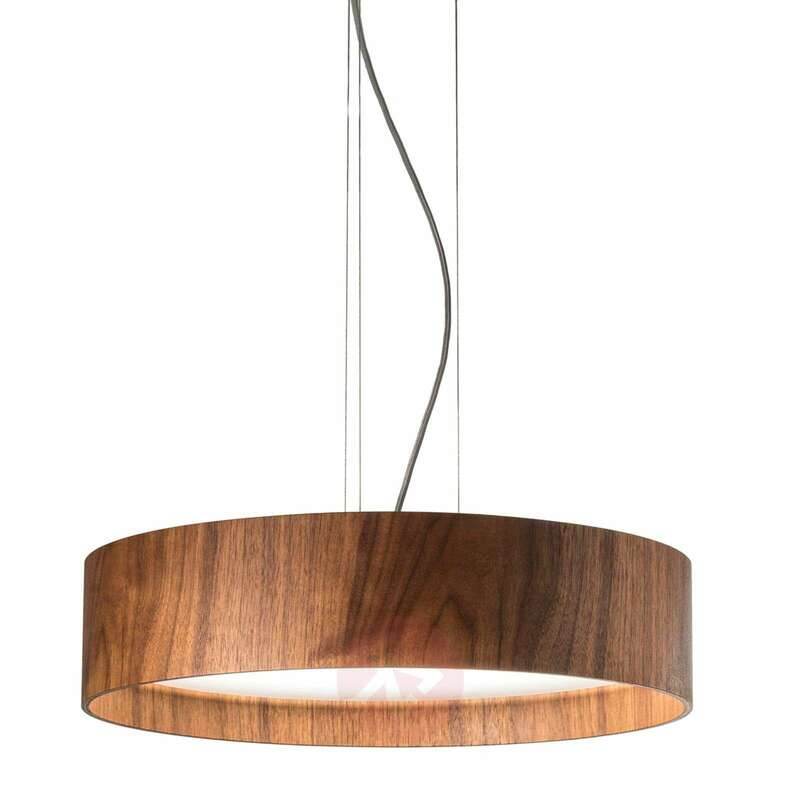 Produced in a technically ingenious and environmentally responsible manner - you couldn’t really expect anything more from a modern light where so much importance is given to its design and functionality, as well as its sustainability. The LED hanging light Lara Wood is one such model. You can satisfy your wildest dreams with this as your living room light. 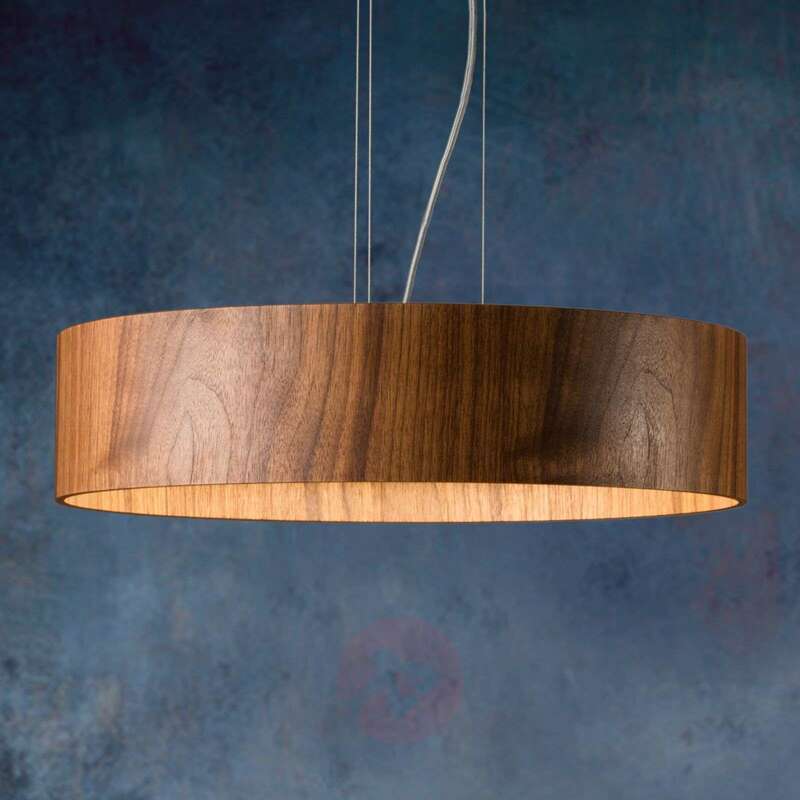 The lampshade is made of naturally treated walnut wood and contains an opal plastic diffuser that ensures a pleasant, glare-free and uniform distribution of the energy-efficient LED light. A silver grey cable with fabric coating complements this product perfectly. The LEDs are also dimmable using a leading or trailing edge dimmer (not included). Demanding high-quality and sustainable production is a maxim of the light manufacturer Domus. 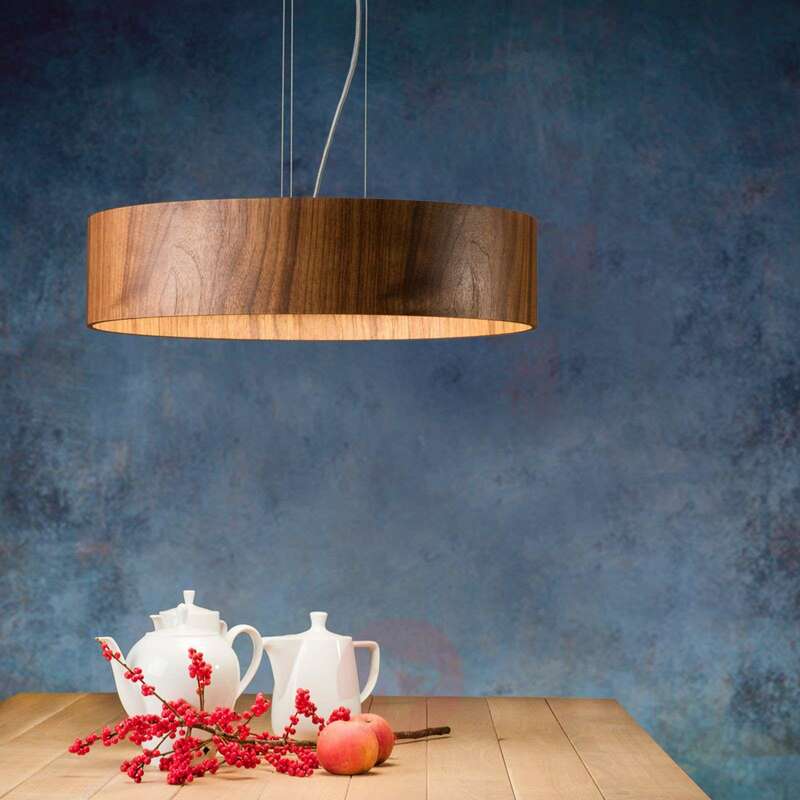 Even though production takes place using excellent technical facilities, the company also identifies itself as a manufacturer where people with true craftsmanship skills manufacture lights by hand for other people. As production takes place in Germany, short transport routes and the highest possible level of environmental protection is ensured. Hand-crafted and made in Germany.